So we only have two days to go until THE biggest event in the calendar for both film and fashion. 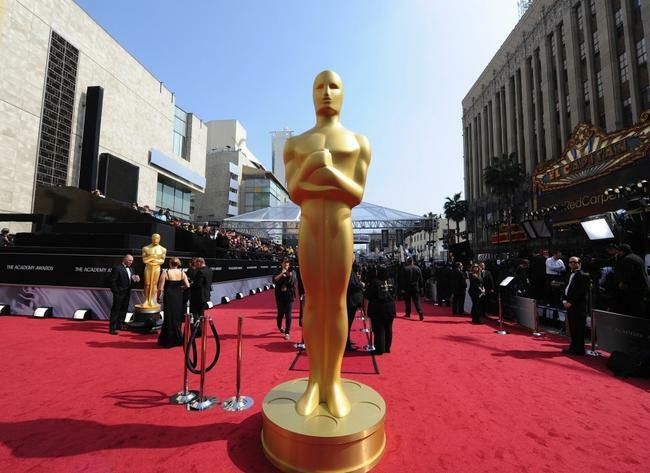 And the contenders for Best Actress Oscar include some stellar names. 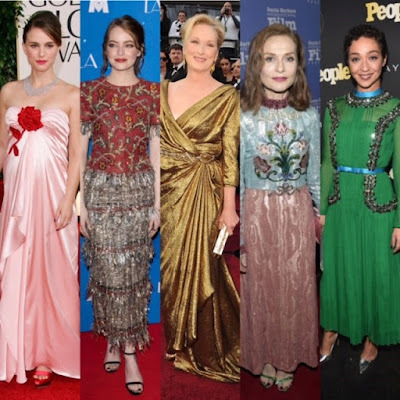 Meryl Streep (Florence Foster Jenkins), Natalie Portman (Jackie) and Emma Stone (La La Land) are a dream to see in the same category and it's going to be tight; then when you add in Isabelle Huppert (Elle) and Ruth Negga (Loving), you just know the fash is going to be more hit than miss. In this somewhat hipster jumpsuit, shirt and cowboy boots combo in 1979. 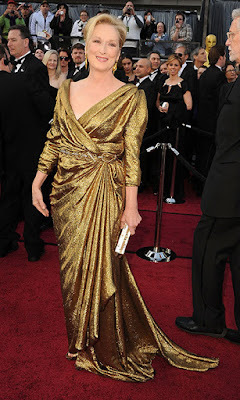 In Lanvin at the 2012 Oscars, when she took Best Actress for The Iron Lady. In Christian Leigh at the 1983 Oscars, when she won for Sophie's Choice. 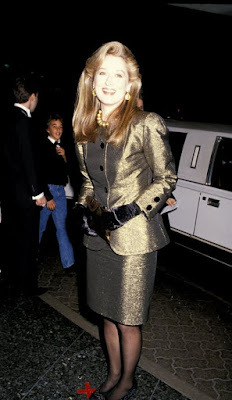 In this gold 80s power suit at the 1989 Golden Globes. In Michael Kors at the 2014 Palm Springs International Film Festival Awards Gala. 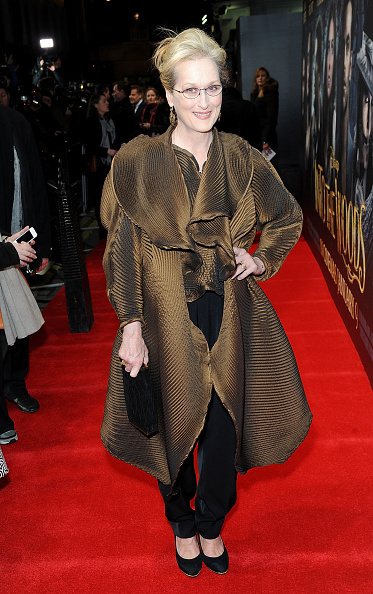 In Issey Miyake at the British premiere of Into the Wood in 2015. In THIS leopard print jumpsuit an dmatching gloves (exact year unknown but who cares?!). In Rodarte at Cannes 2015. In Dior at the Miss Dior Exhibition opening in 2013. Blooming in Prada at the 2017 Golden Globes. Yet another stunning maternity look in Viktor and Rolf at the 2011 Golden Globes, when she took Best Actress for Black Swan. In Alexander McQueen at the Annual Critics’ Choice Awards 2016, where she won for Jackie. In Dior at the 2017 SAG Awards. In Lanvin at Paris Fashion Week 2006. In Lanvin at the 2012 Golden Globes. In Thakoon at the 2014 Costume Institute Gala. In Lanvin at the 2012 Costume Institute Gala. In Dior at The Amazing Spider-Man 2 premiere in 2014. In Chanel at the Paris premiere of La La Land in 2017. In Giambattista Valli at a 2011 screening of Friends with Benefits. In Elie Saab at the 2015 Oscars. In Gucci at the 2013 Berlin International Film Festival. In Lanvin at the 2015 Golden Globes. In Dior at the Marrakech International Film Festival 2016. In Chloe at the 2017 Baftas. At the AARP Movies for Grownups Awards 2017. 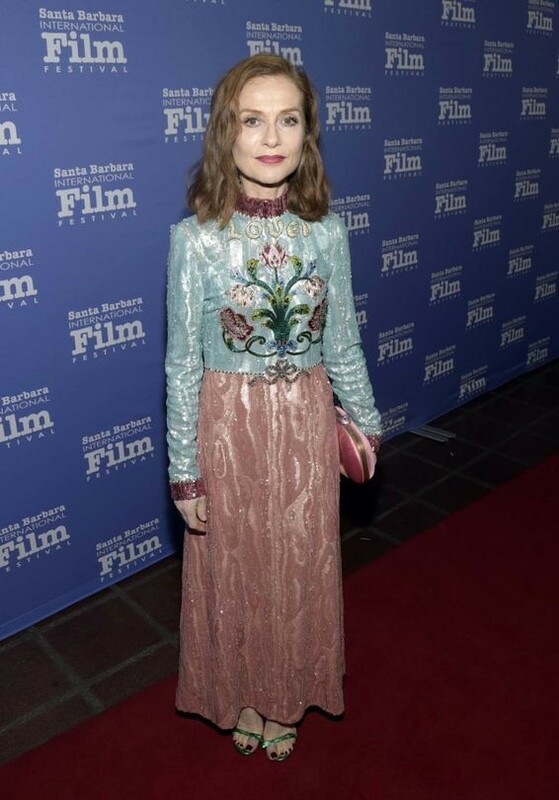 In Gucci at the Santa Barbara International Festival 2017. In an Armani Privé jacket and trousers at the Academy Awards Nominee Luncheon. In yellow at the Kering Women in Motion Dinner 2016. In leather at the Cannes Film Festival 2010. In red glitter at the Busan International Film Festival in 2011. In Suno at Cannes 2016. In Valentino at the Cartier Fifth Avenue Mansion reopening party in 2016. In Marc Jacobs at Cannes 2016. In cropped stripes and high-waisted jeans at the 2016 Film Independent Forum premiere of Loving. In Erdem at the BAFTAS pre-Golden Globes tea party in 2017. In Valentino at the 2016 HFPA and 'InStyle' celebration for the 2017 Golden Globes. In Valentino at the 2017 Palm Springs International Film Festival Film Awards Gala, where she took the Rising Star award. In Prada for People magazine's Ones to Watch event in 2017. So many incredible outfits, these ladies are giving us a delectable feast of fashion! Which is your favourite look? And who's your favourite for the Best Actress Oscar this year? There were so many more looks I could've picked out for Emma that it was difficult narrowing them down. With stylist Petra Flannery by her side, who's regularly lauded as the best in Hollywood, Miss Stone can do no wrong. It's her confident use of colour which really makes her a favourite of mine, and she just nails it time and time again. 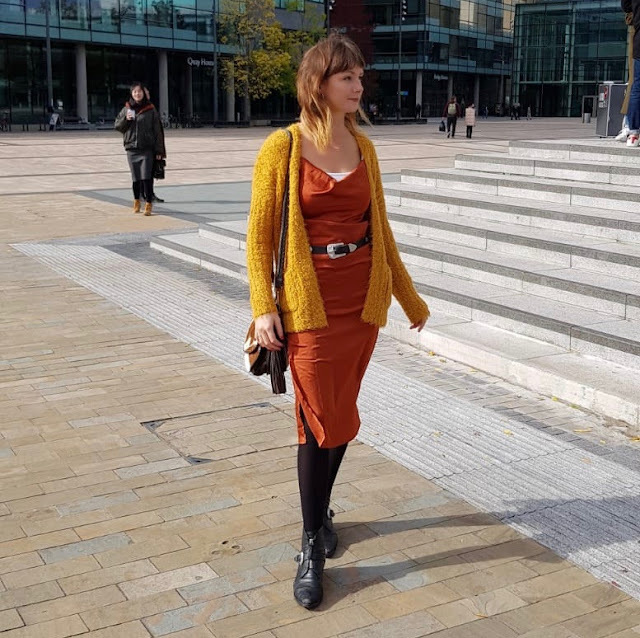 She regularly rolls out classic silhouettes with feminine flourishes like with sweeping skirts, bows and Peter Pan collars, with the odd touch bringing it up to date such as a deep V, spaghetti strap or one-shoulder. 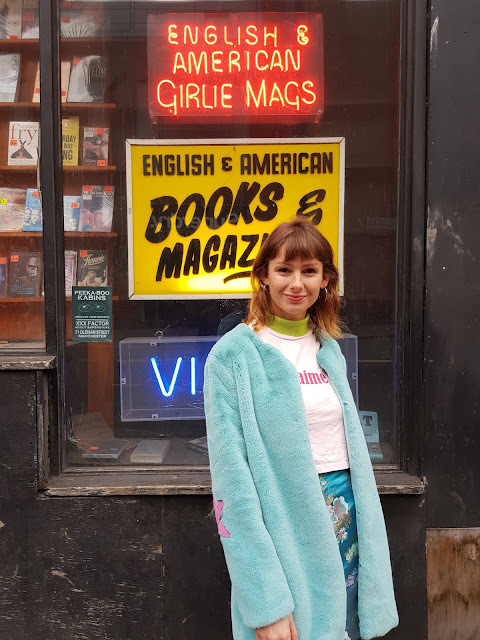 Bravo Emma, can't wait to see what you wear to this year's event!